Today, during a Senate Armed Services Committee hearing on the U.S. strategy against ISIL, U.S. Senator Tim Kaine, pushed back against Congressional criticism of the Obama administration’s strategy in Iraq & Syria, along with calls for additional ground troops, while Congress remains unwilling to be held accountable for asking U.S. servicemembers to risk their lives. By avoiding a debate and vote on a new Authorization for Use of Military Force (AUMF) against ISIL, Kaine argued, Congress has not earned the right to be critics of the current mission. For nearly a year, Kaine has been a leading voice calling for Congress to debate and vote on a new authorization against ISIL. 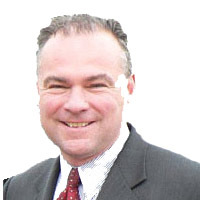 On Tuesday, Kaine responded to Speaker of House John Boehner’s calls for President Obama to “start over” and send a new ISIL AUMF to Congress. “Dr. Kagan said something that I wrote down that’s just like a bolt of lightning. ‘We should not just be spectators.’ You were going through the atrocities that ISIL has committed and who they are and how dangerous they are. We should not just be spectators. But we are spectators. Congress has been a spectator. “Since August 8th, we’ve been a spectator. Absent the one vote in September that we took to arm the Syrian moderates, there is no evidence that Congress is concerned at all about ISIL. None. Our allies have no evidence that Congress is concerned as an institution; I’m not talking about individuals. Our allies have no evidence that Congress is concerned about ISIL. ISIL has no evidence that Congress is concerned about ISIL. But most tragically, the thousands of people, U.S. men and women who are deployed fighting this battle every day, they have no evidence that Congress is concerned about ISIL in the least. “We’ve been at war since August, the 8th. Everybody calls it a war. The President calls it a war. Within two weeks, the Article II mission to defend the embassy and the consulate in Erbil were pretty safe, and the President said we’ve got to go on the offense against ISIL. Every President since Jefferson had basically said that was the dividing line between and Article II power of Commander in Chief and an Article I power where Congress has got to declare war, authorize military action. But now for nine and a half months, we have failed to do what is our fundamental job, what only we are supposed to do. There’s not been a declaration of war. There’s not been an Authorization for Use of Military Force. There’s been no House committee action. There’s been no House floor debate or vote. There was one Senate committee vote in the Senate Foreign Relations Committee in September, but there’s been no meaningful floor debate and no meaningful Senate floor action. “How strange it is we’re in a Congress that loves to punch this President as an imperial president and threaten lawsuits against him when he does stuff without congressional approval. In the most solemn responsibility under Article I that Congress has, we have been silent. When we’ve got all these people overseas who have been risking their lives every day, we have been silent. And it’s Congress that’s the spectator. We’ve called a play differently, but we are spectators when we ought to be decision-makers. “This is now a war in the tenth month without a clear legal basis. I call it extralegal or even illegal. The President himself has, in his own words, acknowledged that he’s gone past the Article II power of imminent defense. The claim that the 2001 or 2002 authorizations cover an organization that didn’t form until two years after 9/11: that doesn’t make any sense. It doesn’t make any sense whatsoever. And yet Congress has come up with one excuse after another to avoid taking action. “The first excuse was this: the leaders of both parties, both houses, the four leaders went to the White House in June and said, ‘Do not make us take action on this war. You do what you want to. Do not make us take action in Congress before the midterm elections.’ And Congress adjourned with an ongoing war six weeks before a midterm election. The earliest adjournment since 1960 before a midterm election with an ongoing war, and we hadn’t done anything about it. “After the midterm election, then it was, ‘Well, but now the Senate is going to change hands, so we shouldn’t do anything as a lame duck Senate because there’ll be a new Senate.’ So we waited until January. “Then we came in, and a lot of folks said, ‘Well, you know, we shouldn’t do our Article II job because the President hasn’t sent us a draft authorization.’ I harshly criticized the Administration for not sending a draft authorization over right when they started this illegal action. But the fact that they didn’t doesn’t excuse Congress for not doing the job that it’s supposed to do. “And now there’s been an authorization pending before Congress since the 17th of February, more than three months, and we still haven’t done anything. And I don’t know what the excuse is now. I think you can only conclude that we don’t want to take it up because we’re either indifferent to this threat – and I don’t think that’s true – I think the real reason is we don’t have the backbone to take it up and do the job that Congress is supposed to do. “And what that means is, while we’re not doing our job, there are others who are doing their job. We’ve deployed thousand into the theater of battle. Two folks who were pilots off the deck of the Theodore Roosevelt, which is homeported in Virginia, crashed a plane on takeoff recently. We’re deploying thousands, and they’re risking their lives. We have had deaths of American servicemen in connection with Operation Inherent Resolve. We have had deaths of American civilians who were held hostage. ISIL didn’t start executing American hostages until after we started bombing them on the 8th of August. So we’ve had American deaths as a result of this war. We still haven’t done anything. We’ve had over 3,000 airstrikes that the U.S. has done, and we still haven’t done anything. And now the costs passed the $2 billion mark in April, and we still haven’t done anything.